How much would you pay for a dollop more brightness and better contrast? In the world of high-end projection, Sony reckons the step up is worth three grand. In truth, if you have to mull it over, it’s probably not worth the price premium. But if you don’t, you’re in for a treat. The VPL-VW570ES, you see, sits in that potentially precarious home cinema space above the brand’s entry-level VPL-VW270ES. The assumption is that AV fans will be prepared to spend considerably more for a modest increase in performance. After all, the surcharge is but a drop in the ocean compared to the laser-light VPL-VW870ES, Sony’s domestic flagship. The price hike over the VPL-VW570ES’s cheaper stablemate is warranted by the inclusion of a dynamic iris, and a boost in absolute brightness, which given this 4K model’s HDR talents, could be significant. One thing’s for sure, setting up the VPL-VW570ES is a dream. As befits a premium projector, focus, zoom and generous lens shift are all motorised, and set via remote control. There’s no fiddling with wheels here, and the projector adjusts with total precision, making it a doddle to position and sharpen the image. A comprehensive Picture Position Memory tool can be used in conjunction with advanced screen installation masking for various film formats, from TV-friendly 16:9 to 21:9 Cinemascope. The projector can store lens, zoom and shift settings for up to five screen ratios. It’s a well-built AV hunk, too. Almost half-a-metre wide, with curvy matt casework (available in grey or white finish) and bronze-effect lens collar that look the business. Either side of the lens, vents cool and expel warm air. Overall weight is a hefty 14kg. Side-mounted connections are two HDMI inputs (supporting 18Gbps 4K HDR transmission up to 60fps), plus USB, RS-232C, IR minijack, twin 12V triggers and Ethernet. The latter allows pro-installers to set up the projector using a web-based interface, and employ control and monitoring with AMX, Crestron, RoomView and Control4 protocols. The projector is supplied with a large backlit remote control. The key controls are also duplicated on the unit itself, allowing you to navigate settings without recourse to the zapper. As is the norm for Sony, this model uses native 4K SXRD (Silicon X-tal Reflective Display) technology beneath the hood. This offers up to 4,096 x 2,160 resolution (that of the Digital Cinema System specification), although us regular folk will only need the 3,840 x 2,160 used by Ultra HD Blu-ray, streaming platforms, et al. The VPL-VW570ES is designed for medium and large theatres. To cast a 100in image, you’ll need a throw distance of between 3.05m and 6.28m. For a 120in screen, the minimum projection distance is 3.67m. Installed, and aligned, this mid-tier Sony immediately impresses. After a slew of pixel-shifting 4K projectors, it’s something of a revelation to sit down in front of a native 4K beamer and be reminded just how astonishingly crisp UHD can be. Live sport is an obvious winner in this regard, with stunning levels of detail on offer. the projector’s contrast capability, adjusting brightness depending on content. it’s price is a lot to pay, but when the lights dim the Sony’s pictures will reward your investment. Pacific Rim: Uprising (Ultra HD Blu-ray) provides plenty of scope for the VPL-VW570ES to shine. The early, chaotic appearance of Amara Namani’s single-pilot Jaeger, Scrapper, is a jaw-dropper. During the pursuit by the Pan-Pacific Defence Corps, this little mech smashes through various buildings to escape, resulting in a tsunami of fine 4K detail on screen, and the PJ’s almost luminous portrayal of colour, from the cockpit HUD to the clanking metal Jaegers themselves, is intoxicatingly dramatic. iris, but here the onscreen action is given extra snap. Thankfully, the iris is well behaved. There’s no perception that it’s hunting, with the fluctuations in black level that might involve. The image is solid and stable. HDR management (the VPL-VW570ES is compatible with standard HDR10 and broadcast HLG) is also surprisingly good, with an ability to manage bright highlights, and tone map without falling prey to over-darkened images or highlight wash-outs, that’s a cut above more affordable rivals. In Pacific Rim: Uprising, when Scrapper makes its final run for it along the beach, the frame is a riot of well- balanced colour detail and sparkle. Here, the Sony is able to depict vibrant blue skies alongside white cloud detail. Highlights never seem exaggerated. While most users will leave the VPL-VW570ES on Auto, there’s a specific HDR Reference mode available for content mastered with a peak of 1,000 nits. This should be used for all HDR TV sport. Sony’s Reality Creation image enhancement is, in my opinion, always best left on. It never looks artificial, and continually adds bonus clarity to images. Using ingenious pattern-matching algorithms, developed from the years of data accumulated by Sony’s studio division, it manages the almost remarkable feat of enhancing detail without introducing artefacts or misinterpreting noise. There’s a luscious patina and texture to the metal of that Scrapper Jaeger, and the VPL-VW570ES showcases every element of nuance and texture. Reality Creation also effectively embellishes HD material, be it from BD or set-top box. It’s not just resolution authenticity that sets the VPL-VW570ES apart from the rush of lower-cost single-chip 4K DLP models. It also offers superior WCG (wide colour gamut) coverage when it comes to colour reproduction. Ultra HD Blu-rays naturally benefit, and the hard to resist oversaturation also translates to delicious eye-candy with regular HD content. Batman Ninja (Netflix HD, upscaled to 2160p) appears absurdly vibrant, yet is never garish. While the Dark Knight is all the correct shades of grey, the primaries in the Joker’s castle sear from the screen, and there’s no overt banding either. Mowgli: Legend of the Jungle (4K HDR, Netflix) provides a stern test of the Sony’s black level performance. The coat of black panther Bagheera combines low-level black detailing alongside bright, shiny highlights. The VPL- VW570ES resists sacrificing one for the other, and when the big cat hides amid the jungle foliage, there’s clearly a tangible mass lurking in the darkness, not an empty CG void. White pin-prick highlights in the cat’s eyes add extra depth. Image presets cover a wide range of content, and include Cinema Film 1 and 2, Reference, TV, Game, Bright Cinema and Bright TV. 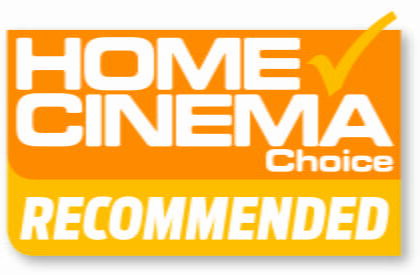 If you are using the projector in a media room environment, rather than a fully dark cinema, the Bright Cinema mode is actually quite effective. There’s a clear difference between the two Cinema Film modes, with Cinema Film 1 delivering a brighter overall image, bequeathing a little more pop; some might feel it’s more televisual than Cinema Film 2, but I rather like it. Both Reference and TV image modes are rather less contrasty. I’m less enamoured with the VPL-VW570ES’s Motionflow image smoothing, which comes in a variety of strengths: TrueCinema, Smooth Low, Smooth High, Combination and Impulse. My preferred option was almost always the TrueCinema mode, which leaves 24p content unvarnished, and ensures a filmic presentation. The exception to the rule is sports content. Here the projector’s image interpolation works reasonably well – just don’t tell Tom Cruise you’re using it. Overall operational noise is high, even though Sony only quotes 26dB – the projector only calms down with SDR content. This isn’t a major issue, as the VPL-VW570ES is clearly intended for professional installation, which will find it located some way away from any seating position. The light source is a high-pressure 280W mercury lamp, with a lifespan rated at a somewhat miserly 6,000 hours when the lamp mode is set to Low; if you intend to watch 4K HDR, that lamp life will shorten, so maybe keep a few hundred quid aside for a replacement lamp. A laser light source would obviously last considerably longer, and offer almost instant on, but as the price tag of the VPL- VW870ES demonstrates, the cost would be prohibitive. There are plenty of cheaper UHD models available, from both the DLP camp and 3LCD king Epson, but none offer the purity of the VPL-VW570ES’s native 4K resolution. In this regard, its only real rival promises to be the similarly priced JVC DLA-N7. This native 4K projector offers a top-flight UHD performance; it’s not the brightest model around, but in a dedicated cinema it shines.